BlueDevil Head Gasket Sealer (#38386) will repair and seal leaks in blown head gaskets, warped or cracked heads, heater cores, and freeze plugs. BlueDevil contains no solid or particulate matter, and will not clog or harm your engine. It bonds to metal, aluminum, cast, alloy, or plastic, and it’s safe and easy to use. BlueDevil is compatible in gasoline and diesel engines. It stops leaks permanently. Our article on the symptoms of a blown head gasket is a good starting place to correctly identify your gasket issues. why does the 16 oz bottle not say” to remove thermastate” , and the 32 oz bottle does? doesent make since to me. product works great! must say the money back guarentee made the differance to try it. cant waste money on a fixed income. also it means you stand buy your product. hard to find real quality anything these days.I will always recomend this product.this is my first time to comment on any product.its that good.im sure your products will go far. In regards to the Head Gasket Sealer, you may use either product. The “Pour N Go” (16 oz./white label) is a less concentrated formula that does not require the removal of the thermostat or a flush of the cooling system prior to use. The “Pour N Go” was specifically formulated so that it was an “easy to use” product and through testing we were able to develop a formula that didn’t require the removal of the thermostat but still carries a high success rate. Whereas the “Mechanic Approved” (32 oz./yellow label) requires both the removal of thermostat and a flush before applying the product; the 32 ounce is the more concentrated formula. The product with the yellow label (32 ounce) will give you best overall results as long as you can remove the thermostat and flush the system prior to use. The way you can get around the housing is by taking a old thermostat and modifying it so that the middle piece does not close; you may remove, or gut, the middle of the thermostat. By doing so you will create a free flow and still be able to have the full housing installed. Once the process is complete you will need to replace the thermostat. I have a 2007 vw rabbit food I just put it in the coolent? So do you put the thermostat back in after you run through the BlueDevil process? I’m a novice about automobiles and looking for very specific instructions about using BlueDevil w/a 2003 Ford Expedition. I would encourage you to give our Tech Line a call at 1.888.863.0426. They are available to help you with any specific questions in regards to the installation process. I’d recommend doing this prior to installation. If you don’t get a live rep, leave a message! They WILL call you back, usually within a few hours at most. In order to get the benefit of the product, the vehicle would need to be able to idle for a full 50 minutes, without overheating or stalling out. Unfortunately, the car would not be a good candidate if the vehicle is unable to start. Thank you for asking about your Honda Civic. The BlueDevil Head Gasket Sealer should not be used as a preventative measure or preventative maintenance. It is only intended for water/coolant leaks. At this point, if you are not noticing a leak, it would not be appropriate to use the product. Hope this helps! Yes, our products carry a success rate over over 90%. We offer a money back guarantee for the small percentage of customers that they do not work for. Feel free to contact our tech support team at 888.863.0426 with any further questions. i have a 1998 pontiac sunfire. i took it to the garage and they told me that it was the head gasket. how long does it take to change one of these, and how effective is your product? Replacing your head gasket is a very timely job. Our products are very effective and carry a money back guarantee. If you have more questions regarding the installation process please give our tech line a call at 1.888.863.0426. I have a 1999 honda passport with the v6 .I just purchased the Blue devil yellow lable and flush online but now I just realised that half of the engine has to come apart just to remove the thermostat. I can bypass the heater core but it is so much work to remove the thermostat that I may as well just change the gasket or is it possible to us the yellow lable without removing the thermostat? For best overall results the thermostat should be removed when using the 32 ounce BlueDevil (yellow labeled) Head Gasket Sealer. If it is going to be difficult to remove then you would be better off using the BlueDevil Pour-N-Go Head Gasket Sealer due to the fact that it does not require the removal of your thermostat. What do I do if water leaked to the oil?? Do I have to do an oil change before doing the flush?? Or can I do the flush and sealant before an oil change? 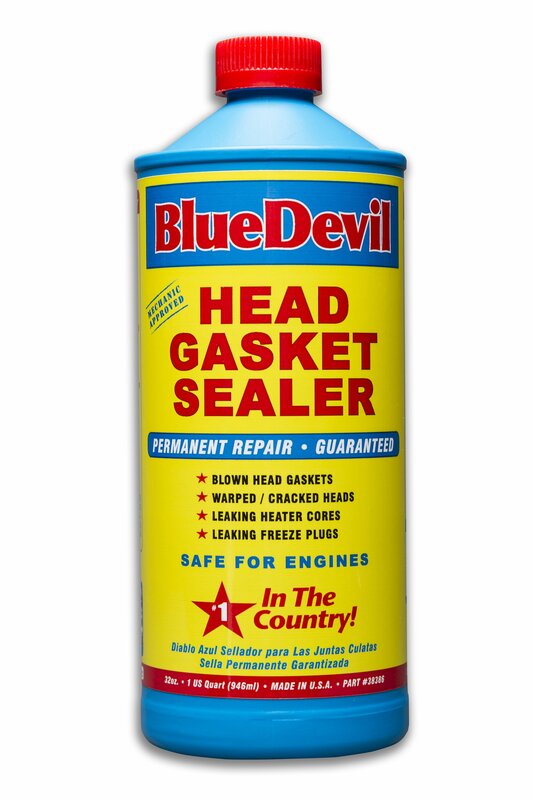 Yes, you may still use the BlueDevil Head Gasket Sealer to seal the leak(s). For best results, you will want to change the oil before and after the BlueDevil process. Thanks for your question about your blown head gasket. If your vehicle is a 4 or 6 cylinder than it should be fine to use the 16oz BlueDevil Pour-N-Go to seal your head gasket leak. If you have an 8 cylinder vehicle then we would recommend using the 32oz BlueDevil Head Gasket Sealer. Should I redrain my coolant with the blue devil in it after the 50 minute idel. Before I pit in new coolant. The BlueDevil Head Gasket Sealer only reacts to heat once, so it would be fine to drain the system completely and refill it with your regular 50/50 mix once the procedure is complete. Can blue devil, white label be used on a v8 ? Yes, but you will need to add two 16 ounce bottles of BlueDevil Pour N Go Head Gasket Sealer to treat a V8. It wouldn’t necessarily do any harm in the cooling system, however, you would be limiting what the product would be able to do. The reason for flushing the radiator is to ensure you are performing the BlueDevil process in a clean, free-flowing system. Also, the BlueDevil Head Gasket Sealer (32 oz. yellow label) is specifically formulated to run with water in the system. Feel free to contact our technical support line at 888-863-0426 with any other questions. I flushed my truck without flushing as well. It worked, but I still have a dirty cooling system. Can I still flush the cooling system to get rid of the exhaust particulate? Yes, at this point, you would be safe to flush the cooling system. We recommend using the BlueDevil Radiator Flush http://store.gobdp.com/radiator-flush-00204/. Flushing the system would not undo any of the seal the product already created. Thank you for asking about your Ford Taurus. Please contact our technical support line at 888-863-0426 so that we can get a better understanding of the vehicle’s condition and be able to make any appropriate recommendations. Can it be used to seal up my manifold leak? Yes, the BlueDevil Head Gasket Sealer http://store.gobdp.com/head-gasket-sealer-38386/ would be able to treat a manifold gasket leaking water/coolant. Feel free to contact our technical support line at 888-863-0426 with any other questions. Please contact our technical support line at 888-863-0426 so that we can get a clear understanding of the vehicle’s condition and be able to make any appropriate recommendations. The thermostat must be removed when using the BlueDevil Head Gasket Sealer (32 oz. yellow label) in order to get proper results. You may use about 10-12 ounces of the BlueDevil Head Gasket Sealer (http://store.gobdp.com/head-gasket-sealer-38386/) to properly treat your Toyota Camry. I just poured the 32 oz bottle in my radiator, without flushing, or removing the thermostat as recommend . Can I go and purchase the 16oz bottle and use it now? And if so can I use two bottles? It is very important to flush the radiator and remove the thermostat prior to using the BlueDevil Head Gasket Sealer. Please contact our technical support line at 888-863-0426 so that we can get a better understanding of the vehicle’s condition and be able to make any appropriate recommendations. The BlueDevil Pour-N-Go Head Gasket Sealer is intended for use in 4 or 6 cylinder engines. You can still use the product in your Ford F-350, however, you would need more of the product to properly treat the system. Please contact our technical support line at 888-863-0426 so that we can get a better idea of the cooling system capacity and be able to recommend the correct amount of the product to use. Do you have to change the before or after using blue devil? I assume your question is asking about changing the oil in your vehicle in regards to using the BlueDevil Head Gasket Sealer. If you are getting water/coolant into the oil, we recommend changing the oil before and after the BlueDevil process. Feel free to contact our technical support line at 888-863-0426 with any other questions. I have a 1991 honda accord how much of this product am i suppose to use and is it a one time thing or do i apply more of it everyday once a week or ? You would use about 10-12 ounces of the BlueDevil Head Gasket Sealer to properly treat your Honda Accord. Feel free to contact our technical support line at 888-863-0426 with any other questions. Just curious about use in a 2008 6.4 power stroke I’m leaking from the passenger back corner of the head and a freeze plug. Is this stuff safe for a 6.4 power stroke? Yes, the BlueDevil Head Gasket Sealer (http://store.gobdp.com/head-gasket-sealer-38386/) is safe and compatible to use on your 6.4 power stroke. Feel free to contact our technical support line at 888-863-0426 with any other questions. Yes, BlueDevil Head Gasket Sealer will still work if water/coolant has entered the engine oil. We recommend that you change the oil before and after the BlueDevil procedure to ensure proper results. 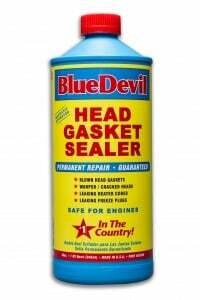 BlueDevil Head Gasket Sealer should be added directly through your radiator cap. If your vehicle only has a reservoir/overflow rather than a radiator cap, instead of pouring BlueDevil through the reservoir/overflow, with the car off and engine cold you should disconnect the top radiator hose and add the product there; do not pour it into the overflow bottle. Once it has been added reconnect the hose and start the idle from that point. We recommend waiting about 2 hours, to ensure the system is cool enough to add coolant. Yes, the BlueDevil Head Gasket Sealer would be able to seal the leak in your turbo diesel. Be sure to follow the cooling system capacity table on the back of the bottle to ensure the proper amount of product is used. So I have a Volvo s70 1999 and the engine turns but won’t start! When I crank it with the reservoir tank open the water goes and comes in sync with the motor. Is it too far gone?! It worked wonders on my ML320! I can’t believe how much money you guys saved me! You have an amazing product! Thank you for asking about your Volvo s70. In order to get the benefit of using the BlueDevil Head Gasket Sealer, the vehicle would need to be able to idle for a full 50 minutes. If the vehicle won’t start, unfortunately, it would not be a good candidate for the product. A hard part repair may be your best option. We’re glad to hear of the results you had on your ML320! Thank you for sharing. As long as you are not worried about the vehicle’s heat function, leaving the thermostat would be fine. Feel free to contact our technical support line at 888-863-0426 with any other questions. The BlueDevil Pour-N-Go Head Gasket Sealer only reacts to heat once. After the initial 50 minute idle and you shut the vehicle off, the product will not continue to react or continue to seal. You are fine to leave the product in the system, or you can drain the system and start over with a clean 50/50 mix, either way would be fine. Yes, we manufacture two different head gasket sealers with two different sets of directions. Please contact our technical support line at 888-863-0426 so that we can get a better understanding of your vehicle’s condition and be able to make any appropriate recommendations. Won’t it plug up the heater n ac ? The BlueDevil Head Gasket Sealer does not contain any solid or particulate matter, so it would not have some of the clogging/restricting tendencies that some other products could have. Feel free to contact our technical support line at 888-863-0426 with any other questions. You would need two bottles of the BlueDevil Pour-N-Go Head Gasket Sealer to treat your V-8. Feel free to contact our technical support line at 888-863-0426 with any other questions. Hey I put the blue devil in my 06 Altima and it worked but I didn’t put the thermostat back in will it hurt anything if I don’t ? It would not harm anything to run the engine with the thermostat removed. The engine will run at a lower temperature so you may notice the heater does not produce hot air. However, most likely you will not need the heater during this time of year. Yes, the BlueDevil Head Gasket Sealer is safe and compatible to use in V-8 engines. The Pour-N-Go Head Gasket Sealer (16 oz. white label) is intended for use in 4 or 6 cylinder engines and require two bottles for a larger engine. Feel free to contact our technical support line at 888-863-0426 with any other questions. I have a 6.0 diesel will it work on it? Yes, the BlueDevil Head Gasket Sealer is safe and compatible to use on your 6.0 diesel. As long as the vehicle will maintain idle for a full 50 minutes, and you are not losing more than about a quart of water/coolant during that 50 minute run, you would be a good candidate for the product. How long do I wait to drive it after putting it in? We recommend at least two hours of a cool down after the 50 minute idle. After the vehicle cools back down, you would be fine to top it off with water/coolant as needed and take it for a test drive at that point. The BlueDevil Head Gasket Sealer would be able to treat water getting into the engine oil. As long as you are not losing water too quickly, you would be a good candidate for the product. You would want to change the oil before and after the BlueDevil procedure. Does your heater have to be working for product to work? Are you saying that your heater core is leaking or that you aren’t getting hot air when you put the heater on? As long as the vehicle will maintain idle for a full 50 minutes, without overheating, you would still be a good candidate for the product. The BlueDevil Head Gasket Sealer is able to seal heater core leaks as well. Feel free to contact our technical support at 888-863-0426 with any other questions. Thank you for asking about your Cadillac Seville. In order to get the benefit of using the BlueDevil Head Gasket Sealer, the vehicle would need to be able to start and idle for a full 50 minutes. If it is unable to do so, the leak you have or the symptoms you’re having may be a little more extreme than what the product is intended for. A hard part repair may be your best option. Can blue devil work on a v10 if I pour two white labels in the radiator? Two bottles of the BlueDevil Pour-N-Go Head Gasket Sealer would treat a cooling system up to around 4.5 gallons capacity. The product would be compatible to use on a V-10 engine. Yes, for best results both thermostats should be removed; this will ensure free flow throughout the cooling system. Will this product work for a frezze plug that’s leaking really fast? Yes, the BlueDevil Head Gasket Sealer would be able to seal a leaking freeze plug. As long as the vehicle can maintain idle for a full 50 minutes, and you are not losing more than about a quart of water/coolant during that 50 minutes, you would be a great candidate for the product. will work for diesel engine ? Yes, the BlueDevil Head Gasket Sealer is safe and compatible to use in diesel engines. As long as the vehicle will maintain idle for a full 50 minutes, without overheating or stalling out, and you are not losing more than about a quart of water/coolant during that 50 minutes, you would be a great candidate for the BlueDevil Head Gasket Sealer (http://store.gobdp.com/head-gasket-sealer-38386/). Unfortunately, if you are losing more than that in the allotted time, a hard part repair may be your best option. So what if someone forgot to remove thier thermostat? The reason removing the thermostat is required is to create a free-flowing system. It would help out with the overall circulation of coolant throughout the system and also help the vehicle from overheating during the 50 minute idle. Failure to remove the thermostat would limit the effectiveness of the product. Feel free to contact our technical support line at 888-863-0426 with any other questions. Not removing the thermostat, with use of the BlueDevil Head Gasket Sealer (32 oz. yellow label), would greatly limit the effectiveness of the product. The thermostat is removed to create a free-flowing system, which would help with circulation and help the product get to the leak point(s) a little better. Feel free to contact our technical support line at 888-863-0426 with any other questions. This product flat out works. I had a rebuilt motor that for whatever reason started to overheat after 8,000 miles. Air was getting into the cooling system to the point that the vacuum was displaced by that air so coolant was not returning to the radiator from the overflow tank. Followed the instructions including removing the thermostat and flushed through about 15 gallons of water through the system. Put in straight water and ran it for 50 minutes. It passed three tests; the block test, the champagne test and a two hour road test. Magic! I’m trying to use the pour-n-go on a 1986 isuzu trooper, but every time I start the engine without the radiator cap on, coolent shoots out of where the radiator Cap should go. Am I supposed to be pouring it into the reservoir or directly into the radiator? If I’m supposed to pour it into the radiator I don’t understand how its possible to do so. Based on what you have stated, it appears that you are getting combustion gases blowing back into the cooling system creating pressure and causing the coolant to blow out through the top of your radiator. To give yourself the best overall chance of the product working successfully, in addition to the directions, I would remove the spark plug from the cylinder with the leak. To find the “bad plug” you may pull all of the spark plugs, you should notice one will have a white-crystal-like substance on it and/or may look dirty; this is the plug you should pull. Leave that plug out for the 50 minute idle in order to relieve the pressure from building up and allow the product to seal properly. I have a similar problem. I know its a gasket leak and I am trying to apply blue devil because I cannot afford the hardware fix. But when I start my car and turn the heater on the radiator fluid is not being sucked through the engine and at first back flows through my radiator cap and overflows. Is this the same issue with combustion gasses causing to much back pressure? Jacob, Could you call our 18888630426 line to discuss? You will leave the thermostat out for the full 50 minute idle with the BlueDevil. Once the idle is complete you will then shut the vehicle off and allow it to cool for at least 2 hours. After it has cooled, you may then reinstall your thermostat. I used another brand sealer first(I dident hear of your product yet). will Blue Devil work if I use it after I flush the system? Yes, it can still work in this situation. We would strongly recommend running BlueDevil Radiator Flush (https://gobdp.com/radiatorflushproduct.html), or a comparable flush, to clean your cooling system and remove the prior product that you had previously added. I never could really believe it until I saw it. BLUE DEVIL HEAD GASKET SEALENT WORKS! No BS, I have a 1999 Cadillac Deville that was starting to vent coolant out the exhaust, skipping badly, and a flashing check engine light for a bad misfire. After the proper flushing of the system and adding the Blue Devil( (properly)) it cleared up before my eyes. The next day after a test drive it ran like it was brand new. No codes at all, and no skip at all. My temps never went above 193 even at idle. For all of the people who say it can’t work, Face it. Your dead wrong. Follow the directions right and it will work. I have to admit I did not think it would work. I stand corrected. Thank you Blue Devil! You now have a loyal customer for life. THANK YOU THANK YOU THANK YOU a 1000 times thank you for this product! I was all set to do a head gasket replacement on a 2000 Ford Ranger with 170000 miles that ran good but would not pass smog in California. It had a head gasket leak around cylinder #5. I ran across videos of Blue Devil gasket sealer on youtube and started checking into it. I found that it was a well known “secret” among the used car dealers and mechanics in the area. The bottom line is that it worked just like it said and was easy and inexpensive to use. My truck passed smog and runs better than ever!!! I will definately put the word out that this is a fantastic product. Thanx again from a very satisfied customer! I am trying this on another Cadillac Deville after working fantastic on my first one. This one is a 2000 the last was a 99. While I was letting it idle for the required 50 min at around the 48 min mark it went into the red. Should I wait to flush the product and let it cool off and run it again? Or should I still flush it. I could not test drive do to the running in red. Yes, you should allow the vehicle to cool down completely (at least 2 hours) before driving or running it any more. Once it has cooled you can then take it on a test drive to see where it’s at. It is possible that it has still worked properly even though the vehicle was starting to heat up toward the end of the 50 minutes. Once the vehicle has cooled and you have a chance to drive it let us know if the vehicle is still experiencing any symptoms. If not, you should be good to go. my car is 2003 vanture van.3.4L engine .sympttailpipeoverheat, combustion gas went into coolant, coolant wont return. presure in coolant is higher than nomal , the heater hose is very hard when squizz. now the symptom is more offen. in first 5 min driving , overheat,pull over , and turn off engine, opened air blizz valve to get air out. opened cap of radiator ,let cooant ho back to radiator, then it is ok to drive more than 50km ,even in highway. next day, same problem. i thought :after i start engine, combustion air or gas went into coolant. after the engine was heat up, the leak stopped or particularly stopped. I guess.didnot notice big white smoke came out from tailpipe. question: is blue devil can fix this small leak? As long as it will idle for a full 50 minute period without overheating or stalling out you should have no problems. I would also recommend removing the spark plug from the affected cylinder to reduce the pressure buildup within the cooling system. Removing that plug will relieve a majority of the compression blowing into the cooling system and and allow BlueDevil a better chance at sealing. If it isn’t able to run for that period the BlueDevil may not have a chance to work properly. I have a 2000 Chevy Cavalier. I tried the Blue Devil today. After about 30mins, the car overheated. Is there a chance the blue devil won’t work now? Im letting it cool down. If it was unable to run the full recommended 50 minutes without overheating then there is a chance that it may not work. Please contact us at 888-863-0426 and we would be happy to discuss your vehicle and a possible solution. When I use this, after the initial 50 minutes of running, does the water / B/Devil chemical mix remain in the system ? Can it remain in the system to plug “future leaks” ? Is there any point in removing the mix (after the treatment) and letting the system cure “dry” ? It may remain in the system but it does not continue to seal. However, once sealed it creates a permanent repair. There is no reason to let the system air dry. I have a blown head gasket on a Chevrolet diesel truck. I read the advice on how to add sealer when the radiator doesn’t have a cap by adding the sealant to the top radiator hose. I also have combustion gasses coming through my cooling system. How do I locate and disable the cylinder when there is no spark plug? You are correct in pouring it through the top hose rather than the reservoir. However, due to the fact that your vehicle is a diesel it has glow plugs rather than spark plugs. You will be unable to disable the affected cylinder. Therefore, we would not recommend running the BlueDevil with your specific situation. Will blue devil pour n go work on a 6.4l v8 diesel? The BlueDevil Pour-N-Go Head Gasket Sealer is intended for use in 4 or 6 cylinder engines, so one bottle would not be enough for your v8 diesel. Feel free to contact our technical support line at 888-863-0426 with any specific questions. I poured it directly into the overflow rather than pulling the radiator hose. Will I be ok? Also, what is a “compatible antifreeze to use with this once I restore my thermostat and refill the system? The best method is pouring directly through the radiator hose when you only have access through the reservoir. It should still work but for future reference we recommend using the top hose. You can use any factory recommended anti-freeze. Used 32 oz. Head gasket sealer in 97 Gm pickup. 350 v-8 w/ ac. Still have water in oil. Added water during 50 minute idle. Should I use more than one bottle and NOT add water during idle? Cooling capacity is 5 gallons. This will depend on whether or not you changed the oil after the BlueDevil application. Please contact 1.888.863.0426 for more information. Of course I changed the oil. Why wouldn’t you just say change the oil and ….Whatever your advice would be?? Please contact our technical support team at 888.863.0426 so that we may discuss the best options for your vehicle moving forward. I have an 89 Buick century sedan, I found out it was an head gasket issue, there was some oil in the reserv overflow, however…no white smoke out the tail, but the engine does run very rough. I purchased the Headgasket sealer, but a “mechanic” told me I didn’t have to change out the thermostat.I already have the new thermostat part ready to be installed by someone that knows how, I think he did’nt want to do it because he had said earlier to me that mine was hard to get to. he added it, but when I went to pick up the car…the car was off! I went ahead and took my car home, let it idle for an hour and an half, shut it off and started it later on that day, and at first it sounded like a brand new engine! Like a new car really. I drove it, and it rode like a dream. Later on that day–it was in the 90’s in florida–I drove to walmart….and the car was smoking some around the engine, and it started running a little rough again, like it was overheating too a little. I know I need to have that thermostat installed, but should I also add another bottle of bluedevil? someone said to me that could lock my motor up? is that true? what about that pour-n-go? is that safer? should I use that now? I really need my car, and I cannot afford a regular repair. What Should I do? Unfortunately, BlueDevil is not intended for situations were oil has entered the cooling system. Please contact 1.888.863.0426 to discuss your situation in greater detail with our tech department. I have a 2003 toyota camry 4 cylinder with a blown head gasket due to the cooling failure when the water pump went. I used the 16oz bottle and it fixed 2 of the 3 cylinder misfiring. Then I decided to try one more 16oz. hoping to fix the remaining problem. It still has the problem of misfiring in one cylinder after the first test drive. Any suggestion, the car will run but not 100% due to the one cylinder not working. Thanks and I will really appreciate your help. God bless. Please contact our technical support team at 888.863.0426 so that we may discuss your vehicle in more detail and come up with the best plan of attack. When I flush the radiator do I also flush the engine block ? I have a 4 cyl 97 honda accord. I found oil in the water and the techs at work told me it’s the head gasket. I’ve heard great things about blue devil and am about to attempt to use it. However, I’m going to use the 16oz bottle because i dont really have enough money for the 32. But i heard the 32 is more concentrated. Does that mean the 16 oz wont work for as many miles as the 32? I had the same problem with a 98 mercury sable and used some off brand sealant for the local auto parts store. It ran for at least 20,000 miles and would have gone farther if I hadnt ran it with ice in the lines (ran out of coolant a day before the first frost of the year. How many miles can i typically expect to get out of the 16 oz bottle. I dont drive aggressively and only about 25 or 30 miles a day. Id appreciate any input. I hope this works. Unfortunately, BlueDevil is not intended for situations where oil has entered the cooling system. We recommend getting a hard part repair in a situation like the one you have described. 91cCr7l657O6 IM going to use the blue devil yellow label 32 oz in my vehicle do I need to flush afterwards before adding coolent the instructions say no but I read that it will gel up the system if any is left in. No, you do not need to flush the system afterward. Once the BlueDevil process is complete and the engine has cooled you may simply drain the cooling system and refill with the factory recommended antifreeze. There is no risk of “gel” forming within the system. Hello,I bought today,8/29/2013,a bottle of the 32oz blue devil,I have a 2001 Chev s10 with a 2.2 in it,apparently it has a bad head and the compression goes to the radiator,so for what I have been reading I have to remove one of the spark plugs in order to successfully complete the process,my question is,what happens if the truck starts running hot after 10 min of running it?will my four cylinder still run without one of the spark plugs? In order for BlueDevil to work properly the vehicle must be able to idle for a full 50 minute period without stalling out or overheating. Based on what you have stated, it sounds like the vehicle is getting combustion gases blowing into the cooling system creating pressure and causing the coolant to blow back out through the top of your radiator. To give yourself the best overall chance of the product working successfully, in addition to the directions, you should remove the spark plug from the cylinder with the leak. If you pull all of the spark plugs, you will notice one will have a white-crystal-like substance on it and/or may look dirty; this is the plug you should pull. Leave that plug out for the 50 minute idle in order to relieve the pressure from building up and thus allowing the product to seal properly. Before using the product we recommend that you pull the plug from the affected cylinder and then run the vehicle to see if it will maintain an idle for 50 minutes. You should only use the product if the vehicle is able to run for the full 50 minutes. You would idle the vehicle for 50 minutes with the cap on. Feel free to contact our technical support line at 888-863-0426 with any other questions. We recently bought our daughter a 2000 Grand Am GT 3.4 automatic, private party sale. One month into owning this, after discussing symptoms and location of a coolant leak with a mechanic brother of mine, we suspect it has a LIM gasket leak. Will this product work for that? We can NOT afford to pay upwards of $1000 to replace the gasket. We should have researched this vehicle more thoroughly, but ran a carfax that came back clean, so we felt confident in the purchase. Arg! We’re hoping for a fix that will get her through 2 years of high school. Yes, the BlueDevil Head Gasket Sealer will work for a leaking Intake Manifold. Feel free to contact our tech support team at 888.863.0426 if you have any questions regarding the install. I was wondering if the blue devil will stop water coming into my oil?? Yes, BlueDevil Head Gasket Sealer will work in this situation. However, you will need to change the oil before and after the process. If you need further assistance, please call 1.888.863.0426. Will bluedevil work for my 1995 sedan deville 4.9 liter? Its over heating and has anti freeze leaking out of tail pipe. Had headgaskets heads n gaskets replaced, but believe mecahic didnt tighten gaskets at correct tork r sequence. Cant pay for another head gasket job. Yes, the BlueDevil Head Gasket Sealer would be appropriate to help remedy the slight coolant leak(s) on your Cadillac. Feel free to contact us at 888.863.0426 with any further questions. My thermostat assembly has no gasket without the thermostat installed. When i run the blue devil through the block for 50 minutes, a small amount of fluid will seep out the seam of the assembly. Is this ok or should I stick the rubber ring from the thermostat inside the assembly before i do the 50 minute cycle? So we can get you going in the right direction, please call our Technical Support line and ask for Zach. He’ll be able to offer some more information based on your car in particular. I suspect that I’m getting exhaust gasses passing into the radiator on ’87 Celica (3SGE engine). It’s not so bad yet … Which product would you recommend? Give us a call VIC to diagnose your issue. Thanks! Wow – what a product. I have an old 1999 Plymouth Voyager Van with 175k miles on it that I use occasionally for picking up wood for my woodworking shop. Around 4 weeks ago it started to overheat with the symptoms of a leaking head gasket. The vehicle is not worth doing a head job on so I thought I would try a sealant first. Initially I used one of your competitors (well known) products and it did not work a hoot. I was about the get the vehicle towed to the breakers yard when I thought I would have one last repair attempt using your product after seeing it on You Tube. I followed the instructions exactly and with no real thoughts of success started the vehicle. After 50 minutes of idling guess what – no overheating. I then drove for the vehicle for over 50 miles and it drove spot on with absolutely normal temperatures. Blue Devil has given my old van some more life! This product works fantastic and I highly recommend it. Many Thanks to the Blue Devil team. I decided to try your product on my 2002 Pontiac Grand Am 3.4L , I had a cold start misfire problem and this morning it didn’t go away like normal . I did some tests and determined it had a blown head gasket so i went down to AutoZone and bought a 16 oz pour and go bottle . I let the car completely cool down and poured it through the top hose and started it . within less than 5 minutes the misfire went away, I let it run at idle for about an hour and so far it seems to have fixed the problem . I will see how things go for a few days and let you know. Thanks for a great product. well worth the $38 if it holds up. I have a 97 Chevy Malibu and having misfires and head gasket problems. My vehicle was juddering, engine light flashing and rough idling. I took my vehicle for scanning and received codes P0300 + P0302. To my understanding cylinder #2 has issues. I checked the dipstick the oil looked like mud and oil cap looked like mayonnaise. I know there’s a hole in the head gasket, maybe near cylinder #2. Would your product seal the head gasket? As I’d been hearing good things about your product. Please advise. Please call our tech line at 1.888.863.0426 to best diagnose your situation. I have a 2000 Ford ranger xlt V6 3.0 with water and white smoke coming out of the tail pipe, yes one of the wires from the spark plugs has some dried up mud like residue, and white crystal like substance around where the spark plug goes. Will Blue Devil stop that problem? I would appreciate your answer pretty much. Thank you, and my god bless you. Based on what you have stated, it appears the vehicle is getting combustion gases blowing into the cooling system creating pressure and causing the coolant to blow back out through the top of your radiator. To give yourself the best overall chance of the product working successfully, in addition to the directions, you should remove the spark plug from the cylinder with the leak. It sounds like you have clearly located the “dirty” plug; this is the spark plug you should pull. Leave that plug out for the 50 minute idle in order to relieve the pressure from building up and thus allowing the product to seal properly. I didnt take out thermastat when i put the yellow label blue devil sealer. I poured product directly into hose that leads to radiator and when reached normal operating temp i poured some into overflow tank will it still work? For proper results, Thermostat removal IS required for installation of this product. The directions on the bottle must be followed during application. Kent, please call 1.888.863.0426 to discuss the installation process in detail. We want to make sure you feel comfortable before applying to your vehicle. I completed the directions. My question is… Can I leave the water/sealant in the motor for the next 24 hrs or do I have to replace the water/sealant with antifreeze? Will the water/sealant freeze. Temperature will drop to 15’F. Junior, please call 1.888.863.0426 to discuss! Thanks!! I have a 94 ford explorer I used the seal and go product. I followed the instructions as stated. After the 50 minute idle period we changed the oil cause it had coolant in it. I did this at a auto shop in the lot. After that I drove my vehicle home 10 miles, it ran great. I didn’t drive my explorer again until the next day. I woke up and got ready to go to work at the ski resort. On the way to work in the snow storm my vehicle overheated coolant bubbling from the top of the radiator cap. I was able to get my car running again and drove it back to town. Now the radiator leaks a bit, my oil is coffee colored and I pour out white exhaust more than before. I am willing to try your product again. I feel that when I drove it home from the shop that was my mistake. I was wondering if that is where I messed up. What should I do different next time I use the product. I need my car running as soon as possible. Thank you for your help! I have a 1994 Ford Bronco XLT. For the model year, the mileage is exceptionally low (averaging approx. 7500/ yr), only 150k miles on a 20 year old truck. I blew my head gasket last weekend subsequent to spending a night stuck in a glorified puddle after trying to pull a friend loose. After a basic garden hose test of my radiator, I believe my gasket failed secondary to critical fluid levels, potentially due to damage to the lower radiator hose. I have purchased Blue Devil Yellow Label. The truck down idles frequently, and I am concerned as to whether it can idle for 50 minutes. Will the product still perform if I have to restart the truck or add additional water/ coolant during the process? Also, will 1 quart of product be sufficient to seal both the head gasket and the radiator hose leak? For proper results, your Bronco should be able to idle a full 50 minutes and not lose more than about 1 quart of water during the idling. You will only need one 32 ounce bottle of BlueDevil to treat your vehicle. If it is unable to maintain an idle for 50 minutes then it may be a little bit too large of a leak for this to work properly. I would base your decision on whether to use it or not of whether or not it can maintain an idle for that period of time. Based on what you have stated, it appears the vehicle is getting combustion gases blowing into the cooling system creating pressure and causing the coolant to blow back out through the top of your radiator. To give yourself the best overall chance of the product working successfully, in addition to the directions, you should remove the spark plug from the cylinder with the leak. If you pull all of the spark plugs, you will notice one will have a white-crystal-like substance on it and/or may look dirty; this is the plug you should pull. Leave that plug out for the 50 minute idle in order to relieve the pressure from building up and thus allowing the product to seal properly. The coolant in the car is rusty brown in color a few days after doing a flush. There is a light brown colored residue stuck under the coolant cap. The coolant smells like exhaust, but there is no pressure or bubbling at the tank as far as I can see. With a new thermostat it blows coolant out the cap at random times. With the thermostat removed the car runs fine with temperature in the correct range. The plugs all look fine. Compression shows 175 lbs in 6 of 8 cylinders and 155 lbs in the remaining two adjoining cylinders. There is no sign of coolant on the dipstick or oil filler cap and there is no excessive steam out of the exhaust. In one of your earlier posts, you said the product would not work if oil is in the coolant. I think the rusty brown color indicates there is some oil in the coolant. I am wondering if I should give the blue devil sealer a try or wait for the problem to get worse. If the brown residue you are seeing is in fact oil within the cooling system then you are correct, the product will not work. You may want to confirm on whether or not that is the case and if it is not oil then we would recommend the use of BlueDevil. In the case that it is not engine oil within the cooling system, there is an additional direction you may take to improve the success of our product. Because you are getting exhaust gases blowing into the cooling system you should remove the spark plug from the cylinder with the leak. If you pull all of the spark plugs, you will notice one will have a white-crystal-like substance on it and/or may look dirty; this is the plug you should pull. Leave that plug out for the 50 minute idle in order to relieve the pressure from building up and thus allowing the product the best shot at sealing properly. Will this work on the 6.0 Powerstroke diesel? Yes, but you will need 1.5 bottles (48 oz.) of BlueDevil Head Gasket Sealer for the application. Please call tech support at 888.863.0426 if you have further questions. Michael did this work for you? After the 50 minute idle, you should allow the vehicle to cool down for at least 2 hours before driving it; you do not need to wait 48 hours. I have a 98 Honda Accord. Over the past 4 months on a warm start my car has had trouble starting. The car rumbles for a few seconds then is normal. I believe it is trouble with one of the cylinders. I took it to Big O and they took out all of the spark plugs and started the car and fluid gushed out of one of the cylinders, which means there is a leak in the block. I do not have any noticeable gasses coming out of the exhaust. Can this problem be fixed with Blue Devil and if so, will the pour and go be a suitable option? As long as the vehicle will start and be able to idle for a full 50 minute period without stalling out or overheating then you should have a great chance at this working properly. You may also want to make sure that you will not lose more than 1 quart of water during the 50 minute idle. If your vehicle is able to stay within those two guidelines you should have no problem sealing the leak. I have a 02 Duramax diesel. What are the procedures for using the head gasket sealer? I don’t want to make any mistakes on using. Once I have flushed the system and ready for Blue Devil, do I just pour into a empty system, or do is put water in first? After the 40 minute running time and then cool down, do,I drain and install coolant? Thanks! I put blue devil in my 2001 Cadillac devil and started to let my engine idle. after about 15 to 20 minutes my car started overheating. I shut off the car to let it cool down. is it going to hurt my car if I did that? The product will not harm your engine in any way. However, if the vehicle was unable to idle for the full 50 minutes then that may be an indication that the leak is too large for BlueDevil to work properly. hi i purchased the yellow label bottle and i was unable to finish the 50 min run in time due to a minor failure in my rtv. i was wondering if theis was going to pose a problem in my near future. For best results, the vehicle should idle a full 50 minutes without being shut off in between. It will not cause any harm if did not run the full 50 minutes but you may not get the full benefit from the use of the BlueDevil Head Gasket Sealer. I have a Mercruiser 4.3 V6 that was “rebuilt” last year and this year it seems to have a problem with water getting into the cylinders. I haven’t checked the plugs yet to see which cylinder is the culprit yet but water is getting in somehow. It could be a head gasket, worse a cracked head, or even worse a cracked block. Which of these problems will your product repair? Also what would be the procedure to use your product on an open loop cooling system that uses lake water? First of all, in order to use the product you will need to create a closed loop cooling system. The BlueDevil Head Gasket Sealer will work in any of the instances you have listed. However, you will need to first be sure you can somehow create a closed loop. I used the 16oz bottle on my 2002 Nissan Altima 2.5 and the seems to have fix the head gasket but my car over heats now. I hope this didn’t ruined my new thermostats. 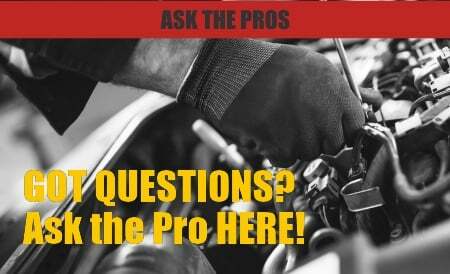 Please contact us at 888-863-0426 so that we may discuss your vehicle in more detail. I have a 2000 bmw 740il with head gasket issue’s. I bought the blue 32oz bottle, follow all instruction. I only used half a bottle of blue devil. The car seems fine for the first 2 days, but now it’s blowing smoke from the exhaust again after parked for 2 hours. Should I pour the remaining half bottle in? I haven’t installed the thermostat, and I didn’t pour any coolant in the radiator yet, so should I add more blue devil? If so, how much more? What the correct amount for 2000 bmw 740il. Using 1/2 of the bottle is the correct application for your BMW. It sounds like you had some temporary improvement after the initial application but some of the symptoms have since returned. We would recommend that you apply the 2nd half of the bottle. You will want to drain the system down and refill with water prior to adding the 2nd dose. The thermostat should remain out for the idling process. I have a Toyota truck with a rebuilt 22RE engine. My problem is not head gasket leak, but it is the gasket between the water pump and timing chain cover. It is a paper type gasket. It runs fine and no misfires or anything but a drip leak out of the mentioned gasket. Will this stuff repair this gasket if I follow the directions on your site? I already have the thermostat removed & no need to flush…radiator is brand new. No, BlueDevil is not intended to fix this type of leak. It sounds like you may need to replace the water pump. Unfortunately, in this instance we would recommend a hard part repair. I have a 2002 Toyota Avalon. It has been over heating and we have replaced the spark plugs, all 6 coil packs, the coolant tank, radiator, and thermostat. Thus, we have come to the conclusion that there is an issue with our head gasket. When trying to use Blue Devil to fix our issue the car started overheating again, right around 25 minutes the car began to overheat again. Should we let the car run through the rest of the 50 minutes or let it cool down before we continue? You do not want to let the vehicle to continue its run if it is overheating. Running a vehicle at these high temperatures could potentially cause further damage. If the vehicle will not idle for a 50 minute period without overheating then it may just be too large of a leak for BlueDevil to work properly. Please contact our warranty department at 888-863-0426 and we would be happy to assist you in getting reimbursed. I used blue devil yellow label a while back, I need to use it again but don’t feel like removing thermostat and flush, can use the pour and go or is ti bad to mix them? You should drain your system down completely and refill it. Once you have done so you may go ahead and use the BlueDevil “Pour N Go”. One bottle is good for a 4 or 6 cylinder vehicle. My 2002 Kia Rio has gotten hot several times. At least 6 times. I could hear water boiling until I finally found a small hose leaking water. Then, coolant fan would not turn on. Now, randomly, car does not idle well, idles at 2000 rpm, and drive a few days and starts to idle normal. Strange situation. Could it be a warped head, don’t see water in oil or oil in water. Yes, it is possible that you have a warped or cracked head. You may want to have the vehicle further diagnosed so that you know exactly what you are dealing with. If you do find out that it is a warped or cracked head then you would be able to apply the BlueDevil Head Gasket Sealer. Feel free to contact our technical support team at 888-863-0426. Will this product work for my 95 Cadillac sts? Ive seen others use it for their northstar engines. Yes, the BlueDevil Head Gasket Sealer will work in that type of engine. We have had customers successfully use it in that exact model in the past. I have a ’96 CD5 Honda Accord that I had recently found out has a possible blown head and/or cracked cylinder head (compression test results in cylinder 1 pushing 180lbs). My mechanic had let me know that repairs are going to be somewhere in the $1500 range. Given that my car is well over a decade old, I was looking at two choices, 1) Invest over $1000 into a car that already has over 200,000 miles on the motor and chassis and maybe drive it around for another 2 to 3 years before it craps out or 2) Sell the car as is with a blown head gasket and maybe get $500 for it. I bought Blue Devil as a last resort, and based off consumer reports it was one of the leading brands when it comes to leaky head gaskets and cracked cylinder heads, plus with the money back guarentee I really had nothing to lose. I just installed Blue Devil product yesterday, and I’m very happy to be in that percentile where I can honestly say so far Blue Devil has saved my car! I had followed the instructions to a T, which I believe some people that have had bad experiences with Blue Devil or similar products, failed to do thus resulting in dissapointment. Prior to installation, my radiator fluid would have to be replenished at least once a day, if not 2-3 times a day depending on that days usage. After yesterday, the coolant levels are stable, theres no water or smoke exiting the tail pipe and my car no longer idles rough (Accord is a manual 5 speed, and before Blue Devil I’d sometimes have to lay on the throttle at a dead stop just above 2000 rpm, enough to keep it from idling rough and dying which it has before at a couple red lights). It is too soon to saythat it was a complete success for a fact, but I’m definetly not skeptical of the product considering it has already shown outstanding results. Thanks Blue Devil! Hi, I poured in the blue devil head gasket sealer. i ran it for 50min without a thermostat. I’m wondering if i can put the thermostat back without draining whatever is left of the blue devil in the system? Yes, you can go ahead and put the thermostat back in at this point. You do not have to drain your system, BlueDevil can safely remain in the cooling system. I used the Pour-N-Go in my 2002 Jeep Liberty and it seemed to work for a couple of days. The only real symptom I have is the check engine light (P0303 code) and some coolant in my oil. I want to use it again because I put it in the reservoir rather than the top hose of the radiator. Will I need to flush the cooling system to remove the product that is in there or can I just add another bottle? Also will removing the spark plug from the 3rd cylinder really increase the chances of success? Please contact our tech support team at 888-863-0426 so that we can discuss your vehicle in more detail and recommend the best steps for getting the leak stopped. We look forward to hearing from you. Corvette with1200 horsepower is what the engine produced. Using twin turbos. Creating 25 pounds of boost through a 7 liter v8. If you can imagine the amount of stress on the gasket. Its probably 10x that. This engine was worth $80,000. Under a full throttle run, the interior sleeve that holds the pistonit cracked right down the side and blew the head gasket on in the same swipe of fate. The car was bleeding coolant profusely. Smoking milky oil. The whole nine yards. The engine was like new. Saved 10,000.00 dollars by using this amazing product. And to think it was under $70 bucks!!!!!!!!!!! Money back guarantee ain’t nothin better than that. I have a f150 with a v8. The 16 oz pour and go is good for up to a v6. So do I just use two bottles for my v8? Yes, you would need to add 2 bottles of BlueDevil “Pour N Go” to treat your V-8 due to the larger capacity. The product with the yellow label will give you best overall results as long as you can remove the thermostat and flush the system prior to use. With the use of either product, be sure to follow the guidelines for the proper amount to use. Based on your capacity, you will be using 16 ounces either way. I would still use a flushing agent to flush your cooling system prior to using the product to ensure proper results. I have 2005 Duramax LLY Diesel engine getting high pressure in cooling system. Will not bleed off over night. Looks like it may be Head casket or Head. Will your product help and if so. How do It. In a gasoline engine we would recommend pulling the spark plug from the affected cylinder to help relieve the pressure while BlueDevil was being used in the cooling system. However, you will not be able to do so on your diesel so we do not recommend using the BlueDevil Head Gasket Sealer in this instance. It will work on a diesel when you have water going into the oil or coolant leaking out through the exhaust (white smoke) but not with the combustion gases blowing into the cooling system. Yes, you can definitely still use the BlueDevil Head Gasket Sealer and have success. You will want to change the oil before and after the BlueDevil process to ensure proper results. After taking the thermostat out and loosing some of the liquid (Blue devil + water) , can I replace the lost fluid with antifreeze 50/50, or does it have to be water? I actually did top it off with antifreeze, will this damage my vehicle or the cooling system? Yes, you can top the system off with your 50/50 mix of antifreeze. I had the same question…does the Blue Devil/water mix have similar properties to a 50/50 coolant mix? Would it be safe to have, say, 10% standard coolant and 90% of the remaining Blue Devil solution as functional coolant? The BlueDevil Head Gasket Sealer does not have any properties of antifreeze. The product only reacts to heat once, after that it becomes inert. So once you have completed the 50 minute idle and shut the vehicle off, any extra BlueDevil in the system would be like water at that point. You can either drain all of the contents out and start over with fresh water and antifreeze or drain about half of the contents out and just add antifreeze for your 50/50 mix. I have a 1996 Geo Metro 3 cylinder 1 liter engine. Can I use your 16 oz Pour-N-Go Head Gasket Sealer? Yes, it would be safe and recommended to use the BlueDevil Pour N Go on your Geo if it has a head gasket leak. I have a 99 chevy blazer. With a intake leak i have to put water in it every other day will blue devil fix my leak or do i need to replace the gasket right away.? Yes, the BlueDevil Head Gasket Sealer will seal the leak to stop your water loss. We have successfully used it to fix leaking intake gaskets in the past. I have a 2005 Chevrolet Silverado 2500 with the 6.6l Duramax. I am getting some internal coolant loss. No signs of running hot or tail pipe blow by. I do have a loud exhaust leak type noise that i was told was a small leak in the headgasket. It does not drip. Will this product work for that repair? If so, how is it done since the radiator has no fill cap only a reservoir to add coolant. Yes, we do recommend using the BlueDevil Head Gasket Sealer based on your symptoms. Since your truck only has a reservoir/overflow rather than a radiator cap, instead of pouring BlueDevil through the reservoir/overflow, with the car off and engine cold you should disconnect the top radiator hose and add the product there. Once it has been added reconnect the hose and start the idle from that point. Feel free to contact us with any further questions at 888-863-0426.
it worked for me, saving me fifteen hundred dollars. Thanks so much Blue Devil. I ran it for a full hour, because after fifty minutes, I could see a small amount of smoke still coming out of the exhaust pipe, ten xtra minutes did the trick,. NO smoke, sealed everything perfect !!! This might buy me an extra year before getting a new vehicle or a new engine!!!! 🙂 very satisfied. I just had my car diagnose & found coolant mixed in the motor oil due to defective head gasket also found oil in spark plugs due to defective value cover gasket. Will the bluedevil pour & go head gasket sealant work & If i .use the bluedevil pour & go head gasket sealant will i still pass smog & is it permanent. Yes, we do recommend using the BlueDevil Head Gasket Sealer. For best results, you should change the oil before and after the process. If you are failing smog because of the steam coming from the tailpipe, due to the antifreeze leak, then this will help you pass your emissions test. I have a 2005 F250 6.0 diesel. It seems to be pressuring the cooling system. Will the 32 oz bottle work on this? If it were a gasoline engine we would recommend pulling the spark plug from the affected cylinder to relieve some of the pressure. However, this is not be possible on a diesel engine. For that reason, we would not recommend using the product for your application. The BlueDevil Head Gasket Sealer will work on diesel engines and higher compression engines but not when you are getting combustion gases pushing back into the cooling system. Thanks for your question about your Oldsmobile Silhouette. You should bleed the cooling system as much as you can before you add BlueDevil Head Gasket Sealer to ensure you get the best seal on your head gasket leak. First make sure you’ve removed the thermostat as instructed in the BlueDevil Head Gasket Sealer directions. Then, refill your system with water. With the thermostat removed, it will only take about a minute of idling to remove all the air from your system. Once that is complete just follow the directions from there! I have a ram 1500 with the 4.7 v8. I wanted to know if I could use two bottles of the 16oz pour n go head gasket sealer as I do not have the time or money to flush my system. Yes, you can still use the BlueDevil Pour-N-Go Head Gasket Sealer for your Dodge Ram 1500 but, you would need at least two bottles of the product. The amount of the Head Gasket Sealer used would be determined by the vehicle’s cooling system capacity. If the capacity is around 4.5 gallons, then two bottles would be enough. If the capacity is closer to 6 gallons, that would require three bottles. Feel free to contact our technical support line at 888-863-0426 with any other questions. I have a 2003 Subaru Legacy. I replaced the head gaskets because I had coolant in the oil. The gaskets fixed the coolant and oil issue but now I have exhaust gases coming through the radiator. I get very tiny bubbles at idle but will run without overheating. When I drive the vehicle it overheats within 5 minutes and blows the coolant reservoir cap off. I checked all of the spark plugs and they all look like new. How do I find which cylinder is leaking? Thanks. If you have checked all of the spark plugs and they appear ok, we recommend having a compression test performed. Whatever cylinder is reading with the lowest pressure, that is the spark plug you will want to have removed for the 50 minute idle. By keeping that spark plug out for the BlueDevil Process, it will reduce the amount of pressure building up in the cooling system, and allow the product to circulate and seal properly. Just finished the 32 oz process on a 2002 Cavalier 2.2. Symptoms were typical…burning coolant in the combustion process with the billowing white smoke and gloppy, coolant-infused oil in the crankcase. Fortunately, the thermostat is easy to get to, although with the gasket being integral to the thermostat housing, I ended up gutting the old one to maintain seal and still allow free flow. I flushed the system, filled with water and added the Blue Devil. After about 10 minutes, I noticed that the low coolant light was on…I misjudged during the fill process and had not filled the system completely. I let it run the 50 minute course anyway and did not add any more water for fear that the cold water would affect the thermal properties of the process. I shut it down and went to work. Upon my return, I topped up the system and ran it for another 50 minutes while noticing a slow trickle from the head for the first couple of minutes. The second run did the trick and after a couple of test runs, the system is tight. Completely full system on the second try. Allowing the product to sit outside so the temperature was the same as the water in the cooling system before application. it was a chilly morning and there would have been a 20-30 degree differential. Also found it helpful to use 50/50 oil and Marvel Mystery mix with new filter to clear the sludge from the engine. Drain again, another new filter and straight oil. I have a 2002 malibu which had an overheating issue. My son in law replaced the thermostat, coolant resevoir cap, coolant flush, changed the oil, replaced hoses, exhaust manifold gasket. It run good on test drive. He now informed me it has a slight coolant leak n white smoke out of pipe. Will this work on my car. Will the pour-n-go work? Based on your description, we would recommend using the BlueDevil Pour-N-Go Head Gasket Sealer. As long as the vehicle can idle for 50 minutes without overheating or stalling out, and you are not losing more than about a quart of water/coolant, you should be able to see some good results from the product. i have a 2002 honda accord 4 cylinder 2.3L. i drove this car home from work one night and all it overheated. so when i arrived i turned the car off and something told me to go back outside and try to start it up. and it just cranked and didnt start. i was told by a mechanic that i had to replace the cylinder head gasket. do you think Blue devil will be helpful now? Thank you for asking about your Honda Accord. In order to get the benefit of the product, the vehicle would need to be able to idle for a full 50 minutes, without overheating or stalling out. Unfortunately, the car would not be a good candidate if the vehicle is unable to start. I added 32oz. Blue devil to my v8 and did not flush system, add water, or remove thermostat. Actually just changed it. Is my truck going to be okay? Also do ypu think it helped though at all? Removing the thermostat and flushing the cooling system are two very important steps to take prior to adding the BlueDevil Head Gasket Sealer. Doing so ensures that the process would be performed in a clean, free-flowing system. Please contact our technical support line at 888-863-0426 so that we can get a better idea of the vehicle’s condition and be able to make any appropriate recommendations. I use Evans waterless coolant. I have a small Head gasket leak. Is this product compatible with Evans coolant. Yes, the BlueDevil Head Gasket Sealer is compatible with Evans coolants. However, for best results we recommend flushing your cooling system and refilling it with water prior to adding BlueDevil. After the 50 minute idle is complete you will then allow the engine to cool down so that you may drain the system and refill it with your antifreeze. Thank you for asking about your Ford F-250. Yes, the BlueDevil Head Gasket Sealer is safe and compatible to use on diesel engines. As long as the vehicle will maintain idle for a full 50 minutes and you are not losing more than about a quart of water/coolant during that 50 minutes, you would be a great candidate for the product. Be sure to follow the cooling system capacity table on the back of the bottle to ensure you are using the proper amount of product. Yes, it would be fine to change the oil a day or two after using the BlueDevil Pour-N-Go Head Gasket Sealer. You would want to change the oil before taking the vehicle on a test drive. 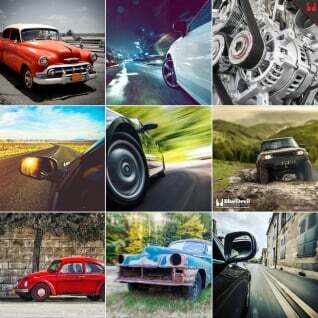 can i drive my car after the process is complete or do i need to wait an alloted time? as pour n go can be confusing? After completing the BlueDevil Pour-N-Go Head Gasket Sealer process, allow the vehicle to cool down for a couple of hours (at least 2 hours) before topping the system off with antifreeze and taking it for a test drive. Feel free to contact our technical support line at 888-863-0426 with any other questions. I have a 98 f150 with a 4.6L v8. White smoke and leaking coolant from tail pipe. My truck doesn’t have a rad. cap … It has a pressurized fill tank. Should i leave enough space in the radiator and slowly add to fill tank, or add all at once (not running) to the top radiator hose? Also will letting it idle for more than 50 min. be beneficial? Thank you for asking about your Ford F-150. If your vehicle only has a reservoir/overflow rather than a radiator cap, instead of pouring it through the reservoir/overflow, with the car off and engine cold you should disconnect the top radiator hose and add the product there (it may be added into the hose or through the opening). Once it has been added reconnect the hose and start the idle from that point. 50 minutes should be sufficient, however, letting it idle for longer than 50 minutes would not do any harm as long as it is not overheating. How long after driving the car can I add bluedevil (16oz) into the system? Case: drive to work at 9 am, how long after that can I run through the process of adding the product to the system (16oz). Does the system need to be completely cold or can I wait 3 hours and add the product? We recommend at least 2 hours of a cool down before adding the product. The vehicle does not have to sit overnight or anything like that. The 3 hours you have described would definitely be acceptable. Feel free to contact our technical support team at 888-863-0426 with any other questions. Hello I have a 2004 kia Sorento 4wd v6. I had the heater hose replaced because it was leaking coolant. After the replacement when my mechanic poured the coolant back into the reservoir it went directly into the oil, and the oil dipstick was mixed of coolant and oil. Will blue devil work or is my situation too bad? And after the flush and I pour In the blue devil, will it go directly into the oil as well? Thank you for asking about your Kia Sorento. If all the coolant being poured in goes directly into the oil, unfortunately, the leak you are experiencing would be a little too extreme for the BlueDevil Head Gasket Sealer. A hard part repair may be your best option. I have a 2004 Subaru Forester and I removed the thermostat (and reinstalled the hose) before flushing with the BlueDevil radiator flush. However, when I poured the radiator flush in it just leaked right out where the thermostat had been. The thermostat on my Forester is located underneath the car, maybe that’s causing the problem? Is there a way I can still use the yellow label BlueDevil sealant (I’ve already purchased it)? Thank you for asking about your Subaru Forester. The way you can get around the thermostat housing is by taking the thermostat and modifying it so that the middle piece does not close; you may remove this piece or gut the middle of the thermostat. By doing so you will create a free flow and still be able to have the full housing installed. Once the BlueDevil procedure is complete you will need to replace the thermostat. Have 2001 LB7 6.6 Duramax with white smoke out of the tailpipe. How many 32oz will i need for this engine? Do you know the cooling system capacity? One 32 oz. bottle of the BlueDevil Head Gasket Sealer would treat a system up to around 4.5 gallons. Feel free to contact our technical support line at 888-863-0426 with any other questions. My 2002 Honda Odyssey has had the radiator replaced at some point. I have flushed and flushed and ready to add the Head Gasket Sealer, but when I measured the amount of water it holds, it just shy of a gallon. The mix starts at 3 gal to 1/2 bottle. Can I still safely use this product? Thank you for asking about your Honda Odyssey. For a cooling system that only holds about a gallon of water, we recommend using 8-10 ounces of the product. It is not one of those things where more of the product would be better. You really only want to use the recommended amount. I just used pour n go head gasket sealer on my vehicle and it worked. I now want to flush my oil but will doing so compromise the repair? That is great to hear! No, flushing the oil would not have any effect on the seal the product has already created. You should be good to go at this point. I have a 2000 lincoln towncar with V8 engine, how much of the 32oz yellow label product is recommended? You would need the full 32 oz. bottle of the BlueDevil Head Gasket Sealer to properly treat your Lincoln Town car. Feel free to contact our technical support line at 888-863-0426 with any other questions. I have a 2007 Hummer H3 with a 5 Cylinder engine. Will Blue Devil Pour N Go be okay to use? Thank you for asking about your Hummer H3. The BlueDevil Pour-N-Go Head Gasket Sealer will treat a system up to around 3 gallons. As long as the system does not hold more than 3 gallons, one bottle would be sufficient. Feel free to contact our technical support line at 888-863-0426 with any other questions. Used this product in my 01 Civic DX as directed on the container and it has appeared to not work i am now noticing that coolant is shooting out of my exhaust when i rev up the engine or even put the gas in. the engine is a D-17a1. Thank you for asking about your Honda Civic DX. Please contact our technical support line at 888-863-0426 so that we may assist you in receiving the warranty on the product. Yes, the BlueDevil Head Gasket Sealer would treat a intake manifold leak as well as a head gasket leak. As long as the vehicle will maintain idle for a full 50 minutes, and you are not losing more than about a quart of water/coolant during that 50 minute run, you would be a good candidate for the product. Feel free to contact our technical support line at 888-863-0426 with any other questions. Thank you for asking about your Cadillac Deville. Yes, the BlueDevil Head Gasket Sealer (https://store.gobdp.com/head-gasket-sealer-38386/) is safe and compatible to use on your vehicle. If you have used another product previously, you would want to flush the cooling system prior to adding BlueDevil. It is also possible that you are getting combustion/exhaust gases pumping back into the cooling system. You can use a “Block Dye Tester” to confirm whether or not that is the case. Can I use blue devil on a car that has no head gasket? What are the symptoms the vehicle is having? Please contact our technical support line at 888-863-0426 so that we can get a better understanding of the vehicle’s condition and be able to make any appropriate recommendations. I have the same car with the same problem and I can’t access the radiator. Can your product be added to the overflow tank? If your vehicle only has a reservoir/overflow rather than a radiator cap, instead of pouring BlueDevil through the reservoir/overflow, with the car off and engine cold you should disconnect the top radiator hose and add the product there; do not pour it into the reservoir. It may be added into the hose or the opening on the radiator. Once BlueDevil has been added, reconnect the hose and start the idle from that point. My coolant capacity is only 6.5 qts and I used a whole 32 oz. bottle of Blue Devil. Will product still perform properly? I may find out before you reply. It is Saturday. Your product was highly recommended by some very good mechanics I know. Thanks guys. The steam stopped coming out of.the tail pipe a few minutes before the 50 monute mark. Thanks. It seems you have had success with the BlueDevil Head Gasket Sealer. We are glad to hear it! Once the product seals, it would be a permanent seal, so you should be good to go at this point. Feel free to contact our technical support line at 888-863-0426 with any questions. The BlueDevil Head Gasket Sealer only reacts to heat once (one heat cycle). Was it able to idle for the full 50 minutes? Please contact our technical support line at 888-863-0426 so that we can get a little better understanding of the vehicle’s condition and be able to make any appropriate recommendations.